If you want to break free of the system, Redum Anshargal can offer you a place at his side. With Atlantis now a world superpower, Anshargal and his hostage-protege Ukinnu Alal hunt the Amphibian, a legendary creature that may be the key to an air-breathing life on land. In UNDERTOW #1, writer Steve Orlando (MYSTERY IN SPACE) and artist Artyom Trakhanov bring pulp monster adventure to comics and debut a new take on Atlantis in this new series. 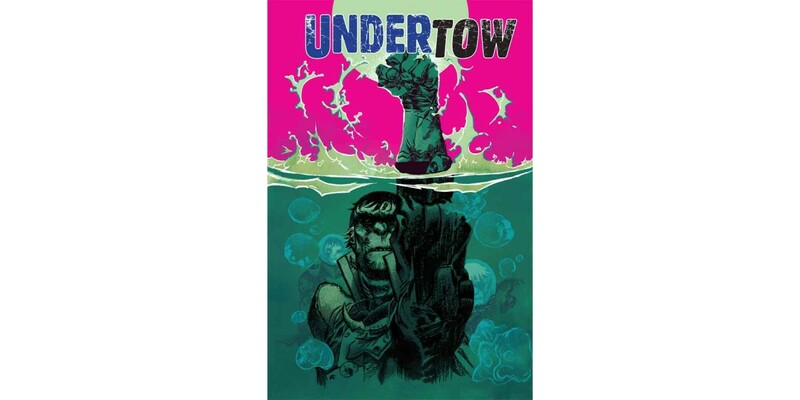 Join Anshargal on his watertight city barge and explore the wild surface world in UNDERTOW #1, which will be available in stores on February 19, 2014 for $2.99. Pre-orders can be placed using Diamond Code DEC130486.